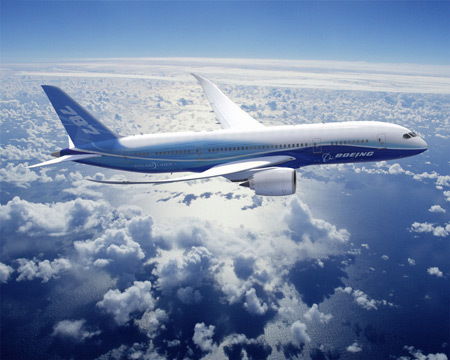 Breathe cleaner air – current aircraft have very clean cabin air, relying on technology used in operating theatres. The Dreamliner will have even better air quality due to an innovative purification method known as “gaseous filtration”, ensuring less unpleasant smells and reduced throat irritation. new composite fuselage structure enables lower altitude cabin pressure as the internal pressure will be equivalent to 6,000ft as opposed to the standard 8,000ft. Therefore, the body adjusts more easily to flying, resulting in less travel related headaches, sickness or fatigue. Reduced jet lag symptoms – use of advanced materials in the manufacture of the fuselage (which are corrosion resistant) and improved technology means higher cabin humidity when compared to other commercial jets. This will reduce symptoms of dryness and dehydration, which can cause jet lag. Ozone is removed from outside air; HEPA filters remove bacteria, viruses, and fungi; and a gaseous filtration system removes odors, irritants, and gaseous contaminants. A typical cabin altitude, such as the Boeing 767's, is maintained at 6,900 feet (2,100 m) when cruising at 39,000 feet (12,000 m). The trend in new aircraft is to lower the cabin altitude: the lowest currently flying is the Airbus A380 at 5,000 ft (1,500 m) when cruising at 43,000 feet (13,000 m). Just to set the record straight...unless the entry has been edited by Airbus! Looks like the 787 won't be up in the air again until middle of 2013 - bloody batteries!